Keith is developing a Business Improvement District for Bristol’s city centre. This would bring around 900 businesses and organisations together investing £6m over 5 years in marketing improving and managing Bristol’s central area. Keith was previously working in Neighbourhood Policing in the city centre with particular specialisation in Licensing and problem solving. 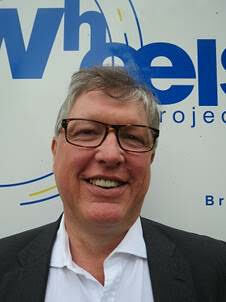 Keith joined the Wheels Project Board in late 2015.